Gippsland is enriched with many fine wineries and great food producers now beginning to be noticed. Some of Australia’s best wines are being produced by the many vineyards and most have cellar door sales and welcome visitors. The foods sources are varied from fruits and berries to gourmet meats and jams and preserves. The following wine and food trails are all within a comfortable drive of Paynesville, but there are many that you may want to do on your trip to or from Paynesville that take in other parts of Gippsland. 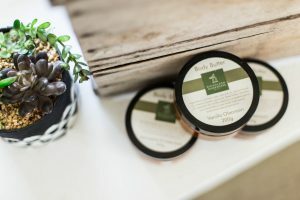 The cottage industry of Bullumwaal Preserves is set on about eight acres and gets its name from the township of Bullumwaal, situated in a small valley some 27 kilometres north of Bairnsdale. In the late 1800’s, Bullumwaal was a thriving gold mining town, with a permanent population of about 1000 people and numerous businesses. As with many similar towns at the time, once the gold was exhausted, the population quickly diminished. Time and fires over the years have combined to reduce the township to just a few permanent buildings. Most of the fruit used in our products is grown here and all items are manufactured on site. We have a small mixed orchard and a covered area for the berries to protect them from the birds. Any fruit or vegetable that we don’t grow, we obtain from local growers where possible. Our preserves are made in small batches, so that our product is as fresh as possible. We have local outlets in Bairnsdale as well as being at the Farmer’s Markets. Wyanga Park is a winery just outside Lakes Entrance. It produces varietal wines, both red and white, and has a small restaurant attached to the tasting room. The winery can easily be reached by road, just follow the signs in Lakes Entrance, or for a novelty take “The Corque” winery cruise that leaves from a jetty in Lakes Entrance. Mount Markey winery (5159 4328) is at Cassilis, which is a few kms. to the west off the Great Alpine Road from Swifts Creek. It is about 1 hour 20 minutes from Bairnsdale. It has many wine varieties and has cellar door tastings and sales. Not Open for Tasting. Wine Sales By Appointment. These producers of limited quantities of premium red table wines can be contacted to order wine by mailorder, so call to be placed on a mailing list. Their wine is available at many fine restaurants and IGA Paynesville & Butcher and some capital city wine stores. Though it is not a winery, the Jenkins Orchard at Johnsonville is well worth a visit. They grow mainly peaches and nectarines, but have a small amount of other fruit too as well as jams and chutneys. The fruit is of the very best quality and the varieties have been chosen for flavour! The orchard is open for door sales November to early July, every day, 8.00am to 6.00pm. Follow the signs at Johnsonville to the orchard; turn north at the general store, at the west end of the village. Dargo Valley Winery and Wine Bar (5140 1228) has a cellar door at the southern end of the town. Dargo is reached from the highway on a good road travelling north between Stratford and Bairnsdale. The town is also well known for its walnuts! See Farms, Orchards, Vineyards and meet the growers and producers. Nothing is better than tasting fresh local produce and finding special treats and goodies to take back with you after your holiday break. Makers of quality flavoursome wines – reds, whites and Gippsland’s first sparkling wines. Home of the renowned Nicholson River Chardonnay, winner of the public vote for 8 years at teh Victorian Winemakers Exhibition. A glass of wine can be enjoyed in the picnic\play area overlooking the picturesque Nicholson River. Orchard and Farm Shed Gallery – November onwards 7 days 9am-6pm Easter to July 10am-5pm. Fruit with Flavour!! Accredited to QMS HACCP for safe quality fruit with flavour. Peaches, nectarines, plums, cherries, apricots, apples and pears. Elaine’s jams and chutneys are also available. Original watercolour and pastel paintings. Growing all varieties that hve the old fashioned flavour and taste like real tomatoes should. These are grown hydroponically and they are accredited to QMS HACCP for safe quality food. Enjoy the old fashioned flavour and take some back with you to enjoy with a great salad that night! A delightful place to stop, whether for lunch, morning or afternoon tea or just browse round the art & craft. Lunch prices range from $7 for soup and bread and they are fully licensed. Scones are the speciality, with 3 different home made jams and lashings of cream, you won’t run out! Inside and outside seating. These producers of limited quantities of premium red table wines can be contacted to order wine by mail order, so call to be placed on a mailing list. Their wine is available at many fine restaurants and liquor stores both locally and in capital cities. Farm fresh blueberries delicious to eat fresh or frozen for your convenience. Several different popular varieties are being grown, and blueberries are a delicious and healthy addition to your fruit intake.